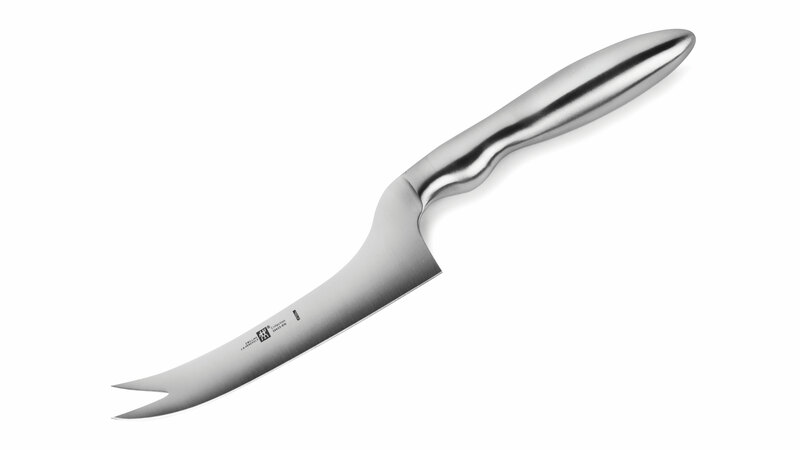 The 5-inch Medium-Hard Cheese Knife is perfect for cutting medium-hard cheeses, and has a fork tip to pick up your finely sliced pieces of cheese. 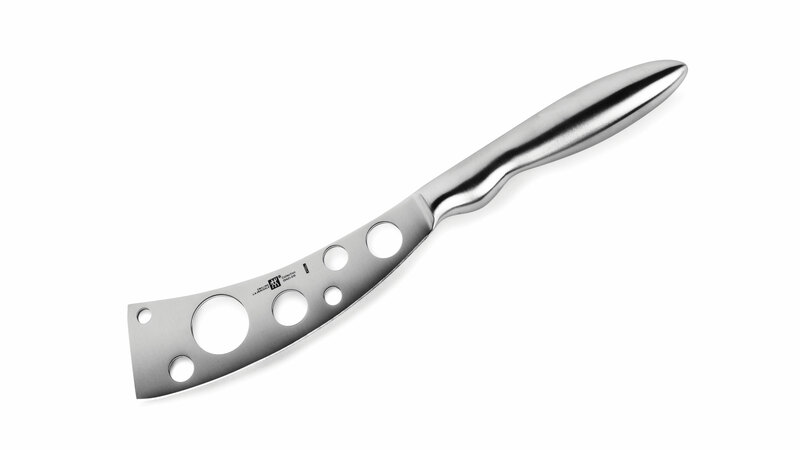 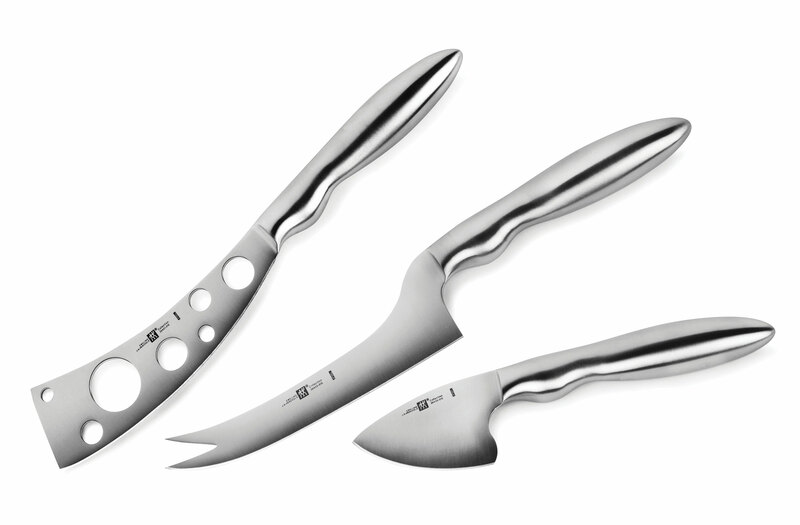 The 5.25-inch Soft Cheese Knife is useful for medium to hard pieces of cheese that will not stick to the blade due to specially designed holes in the blade. 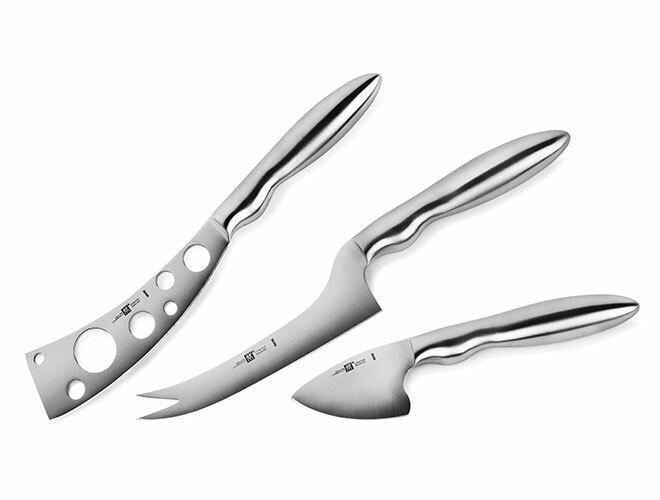 The 2.5-inch Parmesan Cheese Knife is designed for cutting hard pieces of cheese. 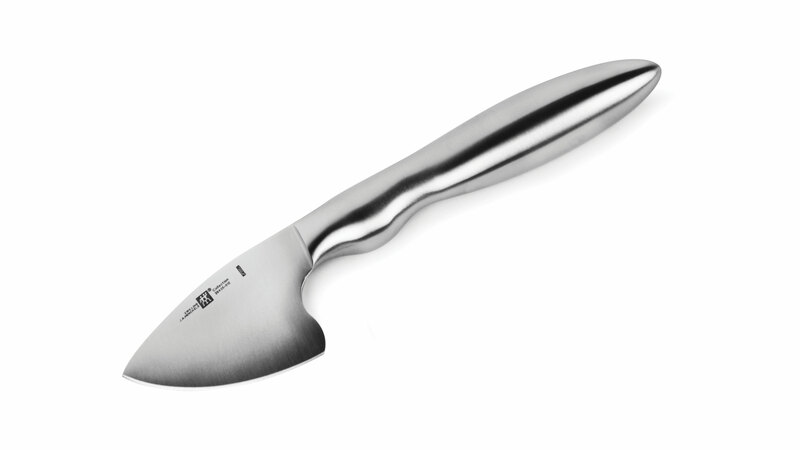 The short, wide blade allows for more pressure in making the perfect cut.